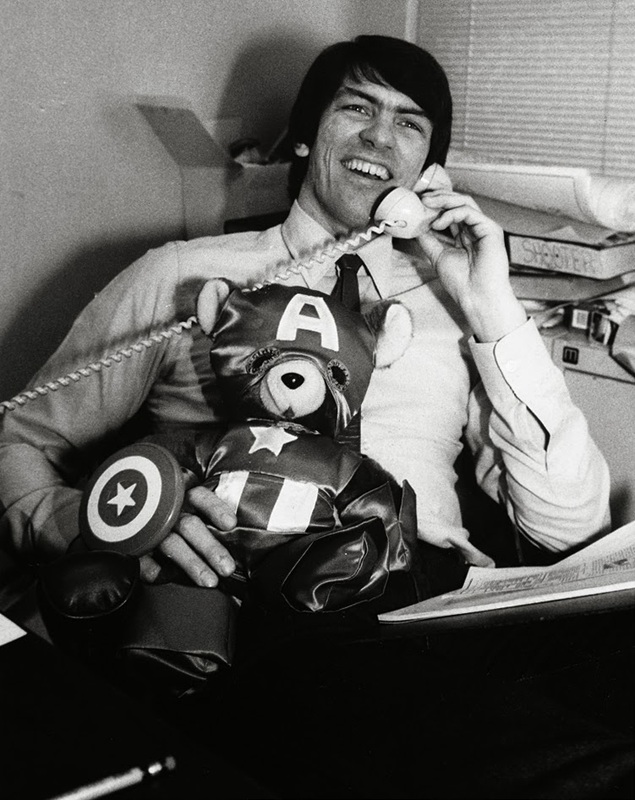 In 1977, I saved Marvel Comics. Then Editor-in-Chief Jim Shooter said so. I was 8 years-old on that fateful day in May, 1977, when my old man threw me and my 12 year-old uncle in the car and took us to see Star Wars. It's a cliche to say that one movie “changed my life,” but it certainly did a number on my imagination and my expectations of what every sci-fi film since then should be. The next day, my mom took me to the Books & Tobacco, and I grabbed a copy of Marvel's Star Wars #1 off the spinner rack. Thus, through my purchase, and that of more than a million other little boys and girls, Marvel Comics was saved. The 1970's were abysmal years for comic publishers. Businesses and consumers were feeling the effects of rapid inflation and an economic recession everywhere they turned. Comic page counts dropped, cover prices soared and newsstand revenue (like my Books & Tobacco) dried to a trickle. Then Star Wars #1 hit the stands, becoming the first comic since Dell's Uncle Scrooge in 1960 to sell more than 1 million copies. This feat wasn't achieved at the spinner racks alone, but also through four subsequent reprints for newsstands and departments stores as part of the Whitman distribution program. The industry still struggled desperately (i.e., the “DC Implosion”), but the huge burst of revenue Star Wars provided helped Marvel survive until the growth of the comic book store in the early '80's helped stabilize the industry. 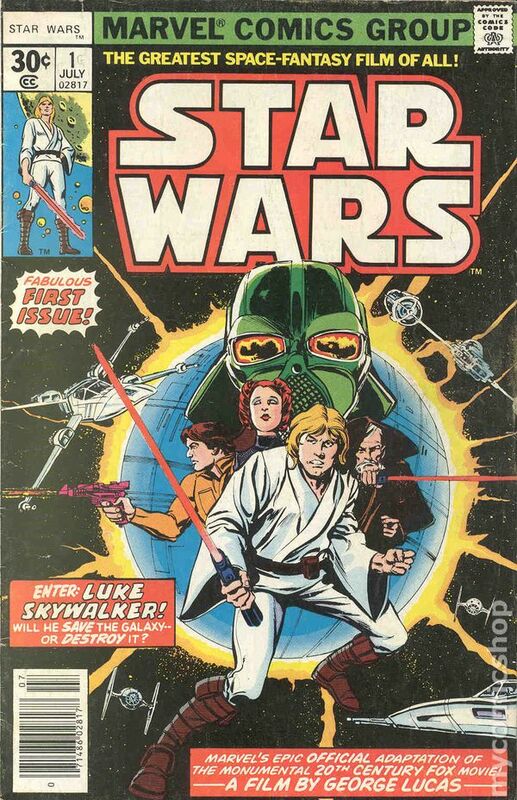 Marvel's Star Wars lasted nine years, spanning 107 issues and 3 annuals. The rights to the Star Wars franchise transferred to Dark Horse in 1991, and over the next 24 years Dark Horse published more than 100 Star Wars titles – ongoings, minis, one-shots and stand-alone trade paperbacks. And now, Star Wars has come home to Marvel where many (including my old geek self) think it has always belonged. As predicted, Marvel's Star Wars #1 (2015) sold more than a million copies – again. Comichron reports that one in every seven books shipped in January 2015 was a Star Wars #1. It actually outsold the next 12 highest-selling books combined! And although the book wasn't needed (and neither was I) to save Marvel this time around, Star Wars was almost exclusively responsible for a 10% increase in comic unit sales figures over January 2014 sales. Of course, in addition to the standard distribution to comic shops and online retailers, Star Wars #1 (2015) offered a few variants, including these . . .
That's is, snipers and pickers! No more soup for you! 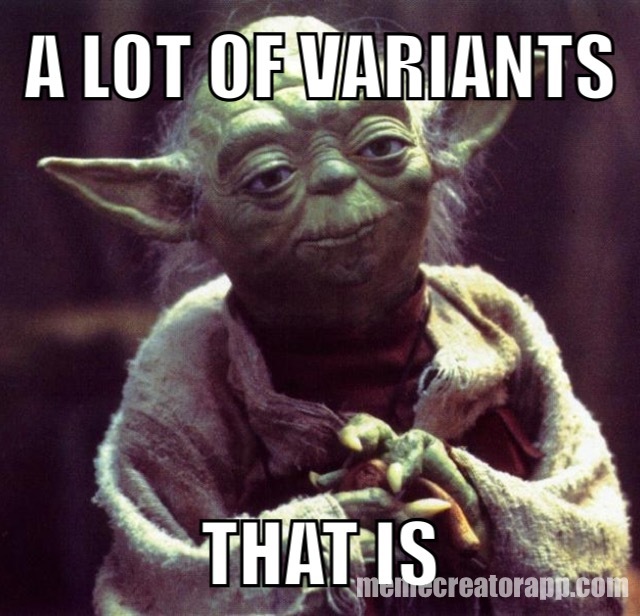 Oh yeah, something to consider while trying to determine value on all Star Wars books . . .
Great topic and a fun read. Nice, i enjoyed this article. Big Dip the Marvel savior! I love it. Pretty damn cool way to toe that all together. That was incredible, plain and simple incredible. Great read, great info, now to find that TOS 39 Fett variant. Star Wars #68 by the way is Boba Fett’s 5th appearance !! Nice article Big Dip! Thanks for the enlightening read. Well Done! the force is with you Ole Big Dipper!